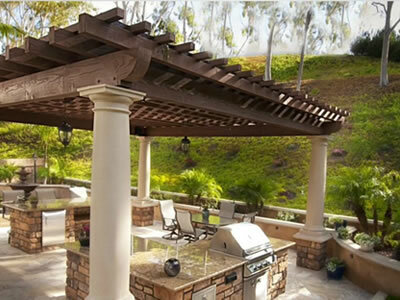 Custom Outdoor Spaces That Inspire. 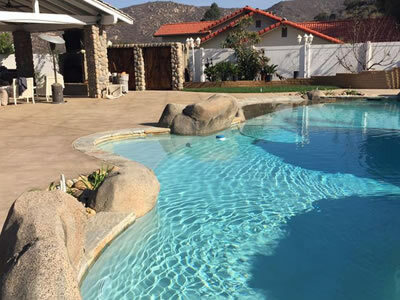 We specialize in customizing outdoor spaces in Southern California including landscaping, hardscaping, outdoor kitchens, living rooms, and BBQ Islands, pools, spas and water features and outdoor fireplaces and much more. With a simple phone phone call you will recieve a complementary in-home design consultation. 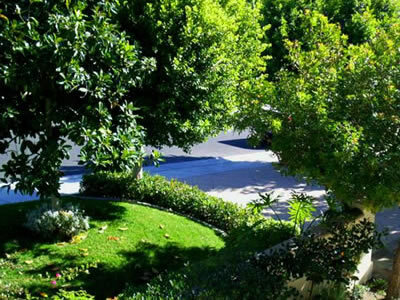 After discussing your landscaping needs, we will determine if your landscape or pool project qualifies for a free or low-cost design. We use the 3-D design to create the working drawings and elevations needed for your project, including permits, and/or your Home Owner's Association requirements. You are quoted exact amounts on your materials and labor so all guess work is gone. 3D Design helps you save money and get exactly the landscape, pool or water feature that you want for your outdoor living space. We will meet or beat any legitimate estimate. * We have the experience and know-how to handle all aspects of your project, from start to finish. We are your one-stop, turn-key contractor. Ocean Blue is a fully insured, licensed and bonded contractor. Accept nothing less when you're trusting someone to make improvements to your property. Our courteous and knowledgable team guarantees that your expectations will be exceeded in both customer service and quality of work. Read about us and view our portfolio to learn more.